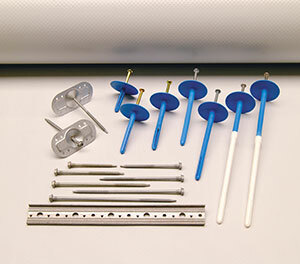 Complete range of accessories, detailing and roof security for applications in combination with Spectraplan® sheets. Complete range of mechanical fastening systems for Spectraroof®, from synthetic to stainless steel parts, depending on the specific requirements of your roof. 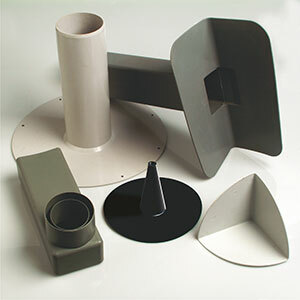 Range of roof security for Spectraplan® synthetic roofs. 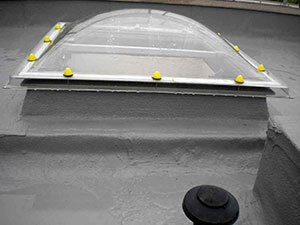 Complete range of liquid waterproofing systems for complex roof detailing on Spectraroof® installations. 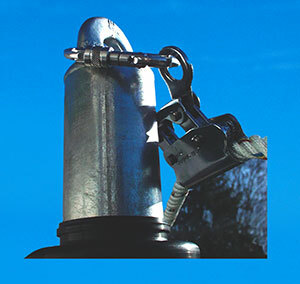 Also suitable for temporary repairs/protection and for maintenance/renovation work. 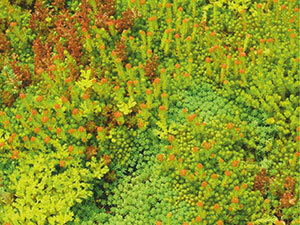 Exclusive concept in intensive roof gardens (soil layer > 200 mm) and extensive roof planting (package > 60 mm), either in isolation or in combination with Spectraplan® manufactured roof ponds and water gardens.